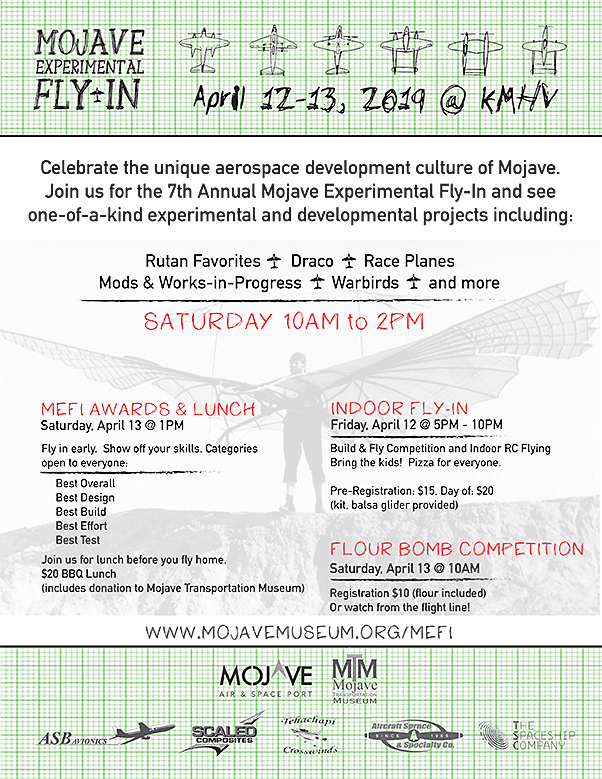 The Seventh Annual Mojave Experimental Fly-In! is slated for April 12 and 13. Friday’s events, running 5-10 p.m., include a build-and-fly compeititon, and indoor RC flying. Registration is $20, and a balsa glider kit (and pizza) is provided. Saturday at 10 a.m. features a Flour Bomb Competition. Registration is $10 and includes the flour. Later the same day, the MEFI Awards and Lunch will include awards for Best Overall, Best Design, Best Build, Best Effort and Best Test. 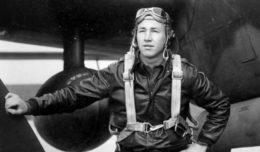 Fly-in early and show off your skills. Before flying home, visit the Hansen Hangar for lunch. Transportation the hangar is provided by MASP Vans. The lunch menu, provided by Grills Gone Wild, includes tri-tip, quarter chicken, mashed potatoes, salads, rolls and drinks. The cost for lunch is $20.